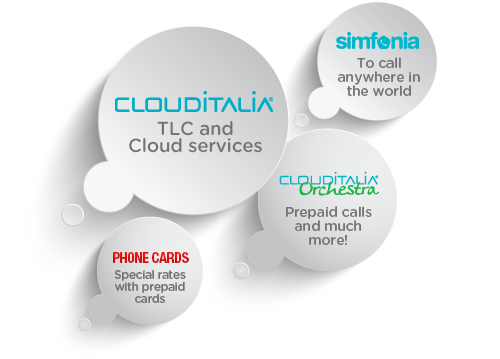 Clouditalia Telecomunicazioni is an internationally renowned Italian company that provides connectivity and telephony services to private users and businesses. A young company that relies on an important heritage from the past: a proprietary network of over 15,000 km and qualified professionals. Clouditalia also has a state of the art three data centre to support a professional offering provided in Italy.Clouditalia provides a vast array of solutions and ensures reliability, convenience and professionalism.